The meeting examined, in particular, current socioeconomic matters on the domestic agenda. Other subjects of discussion included the situation on the line of separation in southeast Ukraine. The meeting participants expressed concern over the continued tension and stressed the need for full withdrawal of heavy weapons. Vladimir Putin briefed the participants on his telephone conversation with President of Turkey Recep Tayyip Erdogan, during which Mr. Putin expressed his condolences over the death of Turkish military personnel as a result of incorrect target coordinates during a Russian air force strike against terrorists, carried out as part of a joint operation to liberate the Syrian town of Al-Bab. Defense Minister Sergei Shoigu briefed the meeting on a telephone conversation between the Russian and Turkish chiefs of general staff. Chief of the General Staff of Russia’s Armed Forces Valery Gerasimov expressed his condolences to his Turkish counterpart. The two sides decided on urgent work to improve coordination procedures during joint antiterrorist operations in Syria. Special Presidential Representative for Environmental Protection, Ecology and Transport Sergei Ivanov. 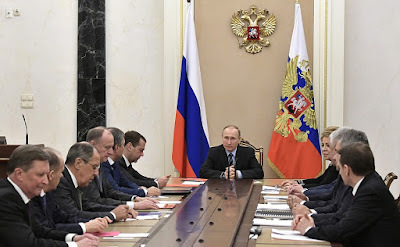 Vladimir Putin at a meeting with permanent members of the Security Council. Russian President held a meeting with permanent members of the Security Council. 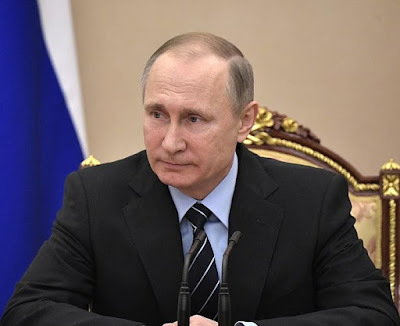 0 Comment to "Putin and permanent members of the Security Council"